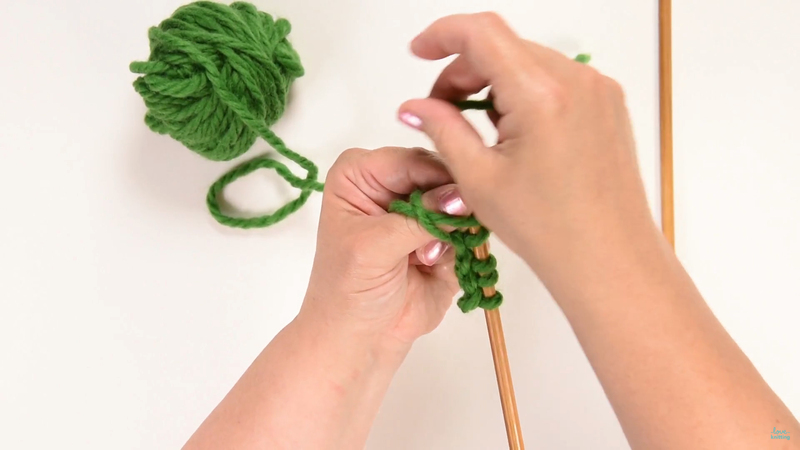 The knitted cast on is the most widely used cast-on for knitting beginners. Each new stitch is increased by knitting into the current stitch, and increasing by one, passing the new stitch from the right needle back to the left. Place a loop on the needle and tighten. 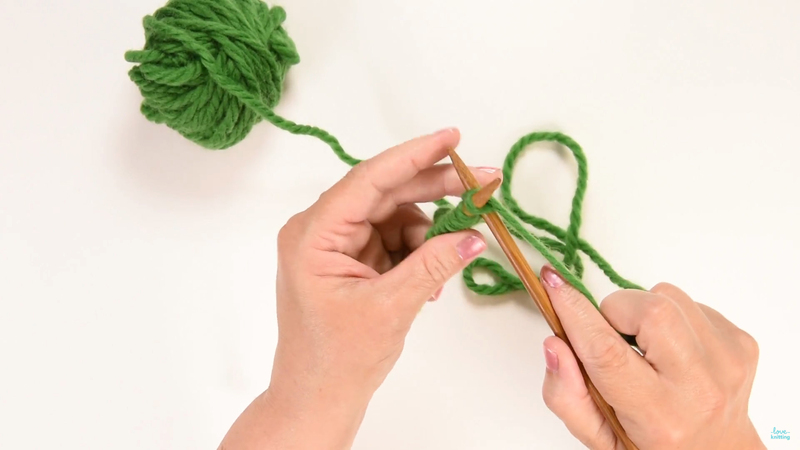 Slide the right hand needle underneath and pull a loop upwards onto the left needle.